If you’re looking for a family friendly spring race, look no further. 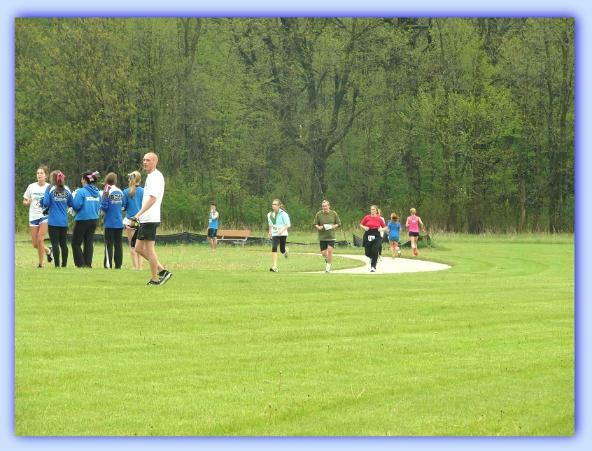 Run for the Hills will be a fun event for all ages. A flat and fast course, age group awards, kids runs and more – what’s not to love? Below, co-chair Anne Coffman tells us a bit about this year’s race. Can you tell us a bit about Run for the Hills? This is the 4th year for the race. It was started by a group of parents as a PTO fundraiser for Wisconsin Hills Middle School. This is my first year taking over as co-chair. We have a 5K plus a 2-mile walk option. There are also kids races for kindergarten through 5th grade and these start after the 5K so parents can do the 5K then watch kids in the shorter races. Besides the family environment, this year, all three of the grade schools that send kids to this middle school have started running clubs to have their students/families participate in the race. It’s very exciting to get young kids started in a life long sport. And the mascot race is very unique – different businesses send their mascots for a race much like the Brewers sausage races. This is quite the hit each year. Being our first year organizing the race, we are following last year’s plan, although we did add chip timing to simply the results process. Next year, we plan to have team registration online to minimize paper entries. 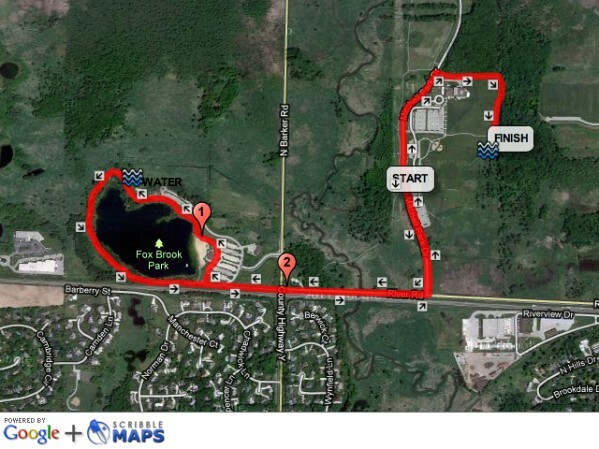 The course is flat and fast – it heads out from Mitchell Park, around and through Foxbrook Park and finishes at Mitchell again. It should be a good opportunity for a PR and winning an age group awards unless you are in grade school – then the age awards might be competitive! They get a t-shirt with artwork designed by a WHMS student. This year’s winning design was submitted by Niyati Hansaria. We have refreshments post race along with door prizes and a raffle. There will also be live entertainment and chip timing as well as prizes for the top male/female finisher. What types of overall/age group awards are offered? Top male/female win gift cards from Performance Running Outfitters. Age groups awards are medals for every ten years. Can you tell us a bit about who the race benefits? The funds raised go to the school’s PTO for projects such as student retreats, musical performances and, we hope, to start a running club for next year’s race at the middle school. It is the main fundraiser for the school. How can people participate in the raffle and what are some of the prizes? We will be selling raffle tickets at the race. So far, prizes include race entry to the Milwaukee Running Festival, a gym membership at Wisconsin Athletic Club and Elite Fitness, Tins of popcorn from Pop‘N Spot, a party package from Karate America and a spa package from Studio 890. Door prizes are smaller items and will be drawn randomly separate from the raffle. Early registration ends March 27th. Prices are only $18/person or $60/family which is much less expensive than most 5K races. Thanks for chatting with us, Anne! To learn more about Run for the Hills, or to sign up for the race, visit www.whmsrunforthehills.org. This entry was posted in Race Previews and tagged Milwaukee Races, Race Previews, Run for the Hills, Running in MKE, Upcoming Events. Bookmark the permalink. ← Let’s Get to Know … Angie Smith!